I’m not going to lie. My obsession with coffee likely plays a significant role in my willingness to be a morning lark. But while I’ve always loved coffee, I haven’t always loved mornings. In fact, until recently, I dreaded the alarm clock with every fiber of my being. Although I was disciplined enough to make it to work on time, my mornings were always a rushed, stressful event. Towards the end of last year, I became frustrated with how little time I seemed to have outside of my 8-5 job. By the time I got home from work every day, I had no mental energy left for writing, and no physical energy left to exercise. I knew something had to change if I was ever going to start making more time for myself. I started getting up an hour earlier so I could at least fit in a workout before hitting the office. It was an adjustment, but it wasn’t long before I started to see the benefits! Laura Vanderkam, a time-management expert and author (who is quickly becoming one of my favorites), conducted a poll that found 9 out of 10 executives start their day before 6 AM. In fact, around half of self-made millionaires get up at least three hours before their workday begins. It’s also not surprising that many of them are prioritizing exercise in their morning routines. Meditation, reading, and eating a good breakfast are also common activities among early rising tycoons. The common theme then seems to be taking time out in the early morning to focus on health and self-development. 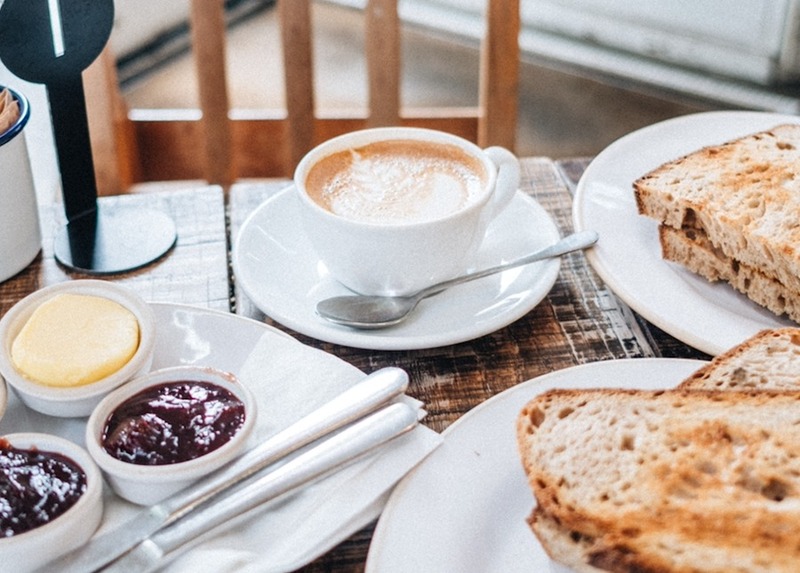 When you wake up earlier, you have more control over your day and are more likely to make better decisions, like choosing a healthier breakfast. You have extra time to get organized and prioritize the most important items of your day. If you leave for work earlier, your commute will be smoother. And you’ll seldom need to worry about being late for work. You’re already alert and well into your day by the time you get to the office, and that helps you get a jump on problems before they get the jump on you. After a hard workout, you keep burning more calories even after you’ve stopped exercising. This is known as the Excess Post-exercise Oxygen Consumption effect (EPOC). You maximize this effect by working out in the a.m. Some studies also show that you burn up to 20% more fat working out before breakfast (on an empty stomach). Working out in the morning is also more effective at lowering your blood pressure than at any other time of day. And that burst of energy and focus that comes from exercise is conducive to having a successful day at work. If you start getting up earlier by one hour every day of the week, that’s at least 28 extra hours a month. Think of what you could do with an entire extra day’s worth of time! Of course, one could argue that you lose as many hours by needing to go to bed earlier. My rebuttal is that the last few hours of your day are probably a lot less productive than your early first waking hours, at least for many people. Your mind may be much more focused in the morning than at night when you’re winding down for sleep. Because you’re likely getting better sleep when you get up early (and maybe even getting in a mood-boosting exercise session), you’re far likelier to embrace a sunny disposition than those who don’t. Part of this could also be from the extra dose of vitamin D you’ll likely get from being in the sunlight longer. People with an early morning routine tend to feel better rested than their night-owl counterparts. Research suggests that both going to sleep and waking up earlier can help you fine-tune the body’s natural circadian rhythm, resulting in better quality sleep. Take time to properly wind down in the evening: Resist the temptation to be in front of a screen right up until bedtime. (Honestly, I still struggle with this sometimes!) I never bring my phone into the bedroom. (If someone calls and it’s an emergency, it will ring through to my apple watch.) I find reading in bed also really helps! Start small: Go to bed 15-20 minutes earlier and get up 15-20 minutes earlier. You will be amazed at how much of a difference an extra 15 minutes in the morning can make. Watch the caffeine: As I mentioned, coffee is one of my favorite things in the universe, but if I have too much of it too late into the day, I will be tossing and turning all night. The half-life of caffeine is 5-6 hours, which means that if you have a 200 mg at 3:30 pm, you could still have up 100 mg in your system at 9 pm. I have a big honking coffee at 8 am and that is it for the day. If I get coffee cravings later in the day, I will drink decaf. Cut back on alcohol: I mean, way back. This was a huge hurdle for me, personally. I always looked forward to a glass of wine (or two) after work to unwind from a stressful day. But it messed with my sleep patterns which made getting up early next to impossible. As soon as I cut out alcohol during the week, it became 100% easier to get up when the alarm went off. My happy hour drink is now Perrier, and I only indulge on weekends (and vacations ). Let’s not forget that there’s still that 10% of executives who get a later start to the day and are still every bit as successful as the early rising execs. Everyone is different, so if being a night owl works for you then, by all means, don’t fix it if it ain’t broken! However, I believe a lot of us could benefit from adopting an early morning routine to focus on self-development and health. I know I certainly did! What works best for you? Are you a morning lark or a night owl?